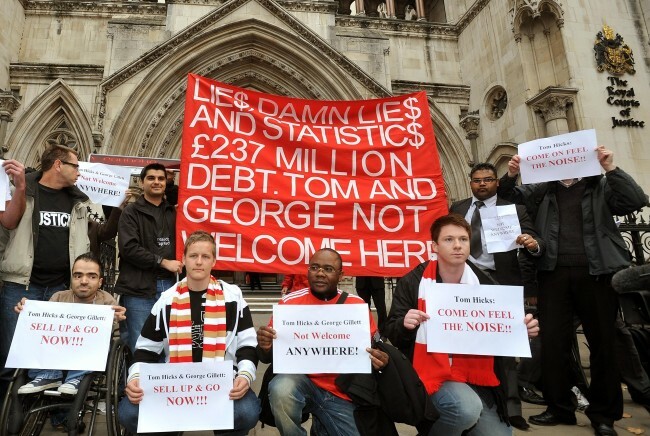 12 October 2010: A group of Liverpool supporters gather outside the High Court in central London, for news about the result of the legal battle for the ownership of the Premier League club. At time of writing, no decision had been made in the case. does someone in the Kop work for a prining firm possibly as the same brand of red and white signs in the same typeface keep on coming back up.